NBC has confirmed that Arnold Schwarzenegger is replacing Donald Trump as the new host of “Celebrity Apprentice.” In June 2015 NBC allegedly cut ties with Donald Trump after he made what some understood to be racist comments against minorities. The producers of “Celebrity Apprentice” made it very clear that they were searching for a new replacement, however they wouldn’t confirm nor deny any casting rumors until now. Sadly, George Clooney’s fame hungry wife Amal Alamuddin seems to have been over looked – bummer. NBC’s executive producer of the hit show also made a statement regarding Arnold Schwarzenegger coming aboard and he commented, “Gov. Schwarzenegger will use his vast and highly successful business, political and media experience to drive this hit franchise to new heights.” So far Donald Trump hasn’t made any crazy outbursts regarding his replacement Arnold Schwarzenegger, but hey the day is still young. Then again, Arnold has quite a few fans – slamming “The Terminator” might not be good for his campaign, then again neither has anything else that Trump has said. 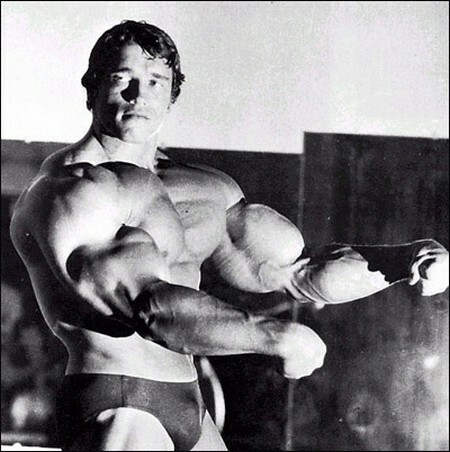 Are you a fan of “Celebrity Apprentice?” Do you think Arnold Schwarzenegger will be a good fit on the NBC show? How will Donald Trump react to his replacement? Well are pleased to note that Donald Trump tweeted congratulations to Arnold. Let us know what you think in the comments below! Celebrity Apprentice Doomed After Donald Trump Replaced by Magic Johnson or George Lopez? Donald Trump’s Anti-Immigrant, Racist Speech Forces NBC To ‘Re-Evaluate’ His Role As Celebrity Apprentice Host! Celebrity Apprentice Season 5 Cast List Revealed!